Carey’s Gentle Grooming & Supply provides grooming services for all dog and cat breeds. We are fully committed to the health and hygiene of your furry best friends. We offer free estimates and consultations to help your pet look and feel their best! Carey’s Gentle Grooming & Supply is the premier provider of pet grooming in Iosco County, MI. Our pet-loving staff offers over 10 years of experience in the grooming industry. Our staff is dedicated to the satisfaction of our customers, as well as the happiness of their pawed companions. 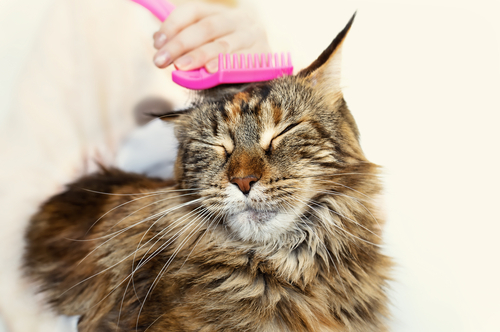 We’re pleased to provide professional grooming services for all dog breeds—and cats too! Contact us for a free consultation to receive an estimate for our services and an expert consultation for your pet’s care. If you have any questions or concerns about your pet’s hygiene, don’t hesitate to give us a call. When you want more than simple grooming in Iosco County, MI, visit us without hesitation. Our goal is to exceed your expectations and deliver superior service, every time. Our specials include a 5-point inspection and a $5 nail trim. We also offer a full line of products to keep your pet looking their best after their grooming, including brushes, collars, leashes, nail clippers, shampoo, ear cleaner, toothpaste and more. Bring in your dog or cat today for a minor trim or a major grooming session. You’ll quickly note the difference in our level of service and the overall happiness of your pet! Established in 2008, we offer more than 10 years of pet grooming expertise. We work with all breeds of dogs and cats, ensuring they get the very best pampering at our hands. To protect your pets, we maintain a flea-free facility and exceptionally clean conditions that are sterilized regularly. Our business is locally-owned and –operated, proudly serving local pet owners and their furry companions. We offer free consultations and estimates, so you know the cost of every service we provide upfront. Treat your best friend to professional grooming services that will make them look and feel their best! We welcome all breeds of cats and dogs.